Looking to Find Out the Market Value of your Home? 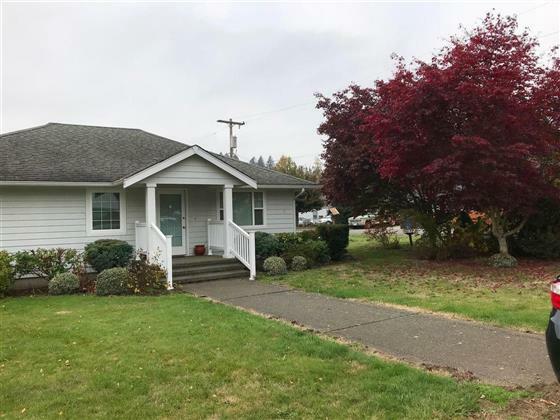 Beautiful updated 3 bed 1 & 3/4 bath home on large corner lot on dead end street in the quaint community of Mossyrock. Tastefully decorated with warm tones & a welcoming floor plan. Hardwood floors, kitchen cook top island & breakfast bar plus a nice dining room, utility room and back patio. A detached carport offers off street parking along with a storage building for lawn equipment & tools. All new windows installed in September 2018. Newer siding and a great patio area in back. Seller intends to review offers upon receipt. I-5 east on Hwy. 12 to R at traffic light in Mossyrock to L on Hope street to L on James to property on right. I am passionate about Real Estate and eager to answer all of your real estate questions! Text or Call me at 360-880-2356 or email me directly to ask about Buying, Selling or Investing in today's Real Estate Market - serving Lewis County & Thurston County, WA. Do You Have a Suggestion for a Future Blog Post? Send me an email with your thoughts or ideas and I’ll be sure to get it on my next Newsletter and I’ll even let everyone know where it came from! Copyright © 2016-2019 - All Rights Reserved. Janet Simons, Realtor, Lewis County, Washington. "Shining a Little Light on Lewis County Real Estate"